In this detailed explainer, former essential services commissioner Richard Blandy sets out why South Australia’s power bills are so high and warns that some of the touted solutions to the problem could lead to an economic catastrophe for the state. Be careful what you wish for: some solutions to our power problems may have unintended consequences. According to the most recent report of the Australian Energy Market Commission (AEMC), a representative consumer in South Australia paid $1487 for electricity in 2015/16 – a bill which is expected to rise to $1602 in 2016/17, and to $1717 in 2017/18, before falling to $1679 in 2018/19. Environmental policies – mostly to mitigate emissions of CO2 – cost about $150 p.a. as part of these bills. For comparison, a representative consumer in Victoria paid $1099 in 2015/16, expected to rise to $1107 in 2016/17, and to $1200 in 2017/18, before falling to $1185 in 2018/19 (about 70% of the cost in SA). Environmental policies cost about $75 p.a. as part of these bills (half of what they cost in SA). What explains these trends and price differences? The Eastern States of Australia form an interconnected electricity market but one split into regions with their own supply and demand conditions. This market is run by the Australian Energy Market Operator (AEMO). For all intents and purposes, South Australia is a stand-alone region with its own (privately-owned) generation, high-voltage transmission and low-voltage distribution system, but linked by two high-voltage transmission lines (interconnectors) to Victorian generators. Electricity retailers buy electricity from the generators, pay the costs of transmitting and distributing it to their customers, and charge their customers sufficiently to cover these costs and make a profit. There are markets in each of the four components of the electricity supply chain: generation, transmission, distribution and marketing. The price that a consumer pays for a kWh of electricity (as well as his/her supply charge) depends on the prices formed in each of these markets, which, in turn, depend on the costs and profit margins that give rise to the prices. These costs and profit margins depend on the technologies and competitive conditions characterising electricity’s generating, transmitting, distributing and retailing activities. In a typical final consumer’s bill, about 45% flows from the cost of generation, about 45% comes from the cost of transmission and distribution, and about 10% comes from the cost of retailing. Retailing costs are unlikely to be a source of rapidly rising electricity prices because they represent a small proportion of final prices to consumers and there is a high level of competition in this part of the electricity supply chain. Energy Watch shows that there are seven electricity retailers selling electricity to small businesses, and 12 electricity retailers selling electricity to households. Therefore, price rises at the retail level are likely to be cost-based. By contrast, the transmission and distribution networks are natural monopolies. This means that they could charge very high prices unrelated to their costs and earn significant monopoly profits. Normally, such monopoly networks are either government owned or subject to independent regulation and oversight. The Australian Energy Regulator (AER) sets the maximum amount of revenue that ElectraNet and SA Power Networks (SAPN) can earn in order to make a profit just sufficient to provide efficient transmission and distribution services. The AER looks at the projected demand for electricity, replacement and investment in pylons, cables and other infrastructure, operating and financial costs, and network reliability and safety objectives. Has the AER has been asleep at the wheel? In particular, has the AER inadvertently allowed the Regulated Asset Base (RAB) to increase too much so that transmission and distribution costs are too high? Some critics of the regulatory system for transmission and distribution would abolish the “locked in past investment history” RAB-based regulatory process, in favour of a system that better took into account major potential economies, as these emerged, writing off past investments that became uneconomic, like competitive businesses do. One matter legitimately relevant to rising network charges are changes in the “peakiness” of the demand for electricity over recent decades. The electricity network must have sufficient capacity to carry the maximum flow that may be demanded at any particular time. In recent decades the spread of home air conditioning has increased the demand for electricity significantly on very hot and very cold days, but only for brief periods on relatively few days. The average network cost per mWh has increased as a result. Hence, the spread of household air conditioning in South Australia has played a role in the rise in the cost of electricity here. One way of reducing this cost would be to rotate load shedding to air conditioners (for five minutes per hour, say). This could be done by SAPN using remotely-accessible switches attached to each household’s air conditioning system. Installation of such a system would carry its own costs, of course, but experiments have shown that inside-house temperatures are not severely affected. Network costs per customer would fall. Returning to the question as to what has driven the large increase in electricity prices in South Australia in recent times, we have yet to examine the cost of generation – the wholesale price of electricity. The wholesale price of electricity in the various states is set in the National Energy Market. The NEM works like a conventional supply and demand market familiar to all Economics I students. It is a highly competitive market and prices are unregulated except for a very high cap. It is sometimes alleged that when demand is high, large scale suppliers withdraw capacity in order to force prices up sharply, gaining more from the price increase than they lose from selling less. If this were typical, it would represent a serious failure by the Australian Energy Market Operation (AEMO) and the AER. Prices in the NEM are determined every five minutes, and averaged over each half hour period to get a spot price. Generators bid how much electricity they are willing to provide, and at what price, for each five-minute interval. AEMO then accepts the bids – starting from the lowest priced bid – up to the point where supply equals demand in that interval. The price paid for all electricity in those five minutes is that of the highest bid accepted. Renewable energy generators bid into the market at very low prices. They are willing to accept whatever the market price may be, because their short run marginal cost is close to zero. In low demand periods, because of the large amount of electricity produced by wind farms (and other renewable energy generators), the market price will be very low. Base load power stations, using coal or gas as fuel, may not be able to bid low enough to be selected, particularly as the availability of renewable energy sources increases. The low average costs of conventional, base load, power stations depend on their being in continuous (paid) operation. If they cannot earn sufficient to cover their variable costs, their losses will exceed their fixed costs and eventually they will cease supplying. 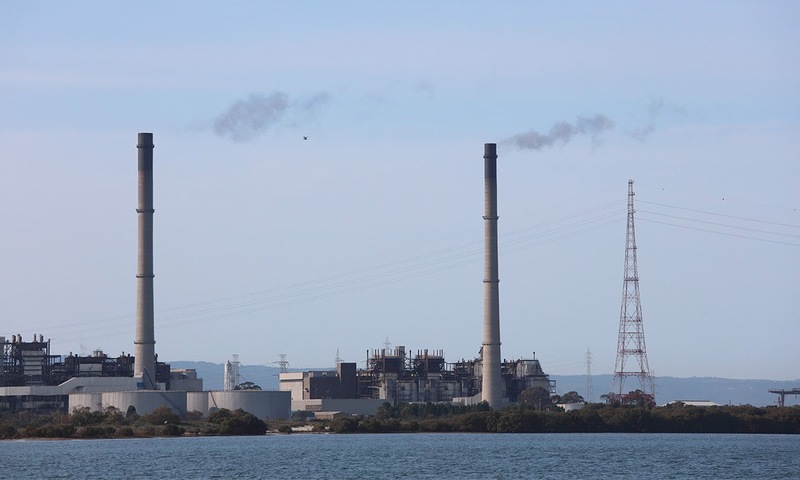 This is what caused Port Augusta to close, part of Torrens Island to be mothballed and Pelican Point to be non-operational (except in exceptional circumstances), taking more than 2000MW out of South Australia’s electricity supply. This gap has been filled by variable electricity supplies from wind and solar energy producers, together with back-up supply availability mainly from the interconnector to the brown coal-fuelled Hazelwood power station in Victoria. This is exactly what was intended to happen: CO2-producing electricity generators are being replaced by non-CO2-producing electricity generators. It is clear what happened. The Commonwealth LRET (Large-scale Renewable Energy Target) scheme introduced under John Howard in 2009 (with a target of 2% of electricity production) was altered to incorporate higher and higher targets, the latest target being 23.5% of electricity production by 2020. Large-scale solar and wind energy, as well as hydro, are able to contribute towards achieving this target. Both methods of generating electricity are uncompetitive with base-load electricity generated by coal and gas, and uranium, for that matter. Hence, they are being financially assisted by the RET system. The arrangements for supporting commercial wind and solar energy generation are built around a system of Renewable Energy Certificates (RECs). Electricity retailers are required to source a (rising) proportion of their sales of electricity from hydro, wind and solar generators – overwhelmingly, in practice, from wind farms. To prove this, they buy RECs from eligible generators which they subsequently surrender to the Commonwealth Government, or pay a hefty penalty. Costs to residential consumers from this scheme are growing by about 11% p.a., according to the AEMC. In 2016, the target “renewable power percentage” was 12.5% of electricity sales, meaning that retailers had to surrender to the Commonwealth Government RECs accounting for 12.5% of their sales of electricity. The price that retailers pay renewable energy producers for RECs is the subsidy that goes to producers of renewable energy. Not only do renewable energy producers of electricity get the wholesale market price but they get the price/kWh of the Renewable Energy Certificates that are sold to retailers, as well. The price of RECs has doubled over the last three years. 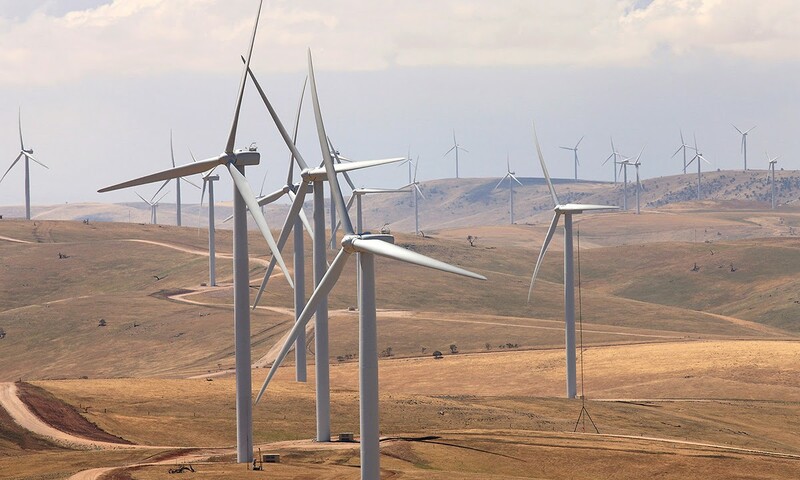 Since South Australia has more than three times the share of wind energy in its supply mix compared with the NEM as a whole, the rise in the price of RECs has impacted electricity prices in SA more than the national average. In 2020, the renewable power percentage will approximately double to 23.5%. A further increase in electricity prices in Australia is likely to follow, particularly in South Australia. Where electricity supply has a large component dominated by renewable energy (as in South Australia), if the wind is not blowing sufficiently and the sun is not shining brightly enough, and the demand for electricity is high (on a very hot day, say), the supply of electricity can easily be less than demand for it. Electricity supplied by renewable energy cannot easily be increased at will. The main way that supply and demand can be brought into balance, in this circumstance, is by restricting demand – load shedding. Neighbourhoods are blacked out and businesses are asked to produce less. The Hallett wind farm in South Australia. Intermittent renewables like wind and solar can only be reliable sources of energy if accompanied by energy storage (or interconnection to continuously-producing generators) sufficient to meet sufficient to meet all excesses of demand over supply. However little the renewables may produce on cloudy, still days, stored energy or interconnection capacity must be sufficient to cover the gap. Hence, “pumped hydro” is, in principle, a potential solution: sea water is pumped into dams in hills near the coast when electricity is plentiful relative to demand, and released to generate hydro-electricity when renewable supplies fall short of demand. Unfortunately, bringing such hydro systems on-line are subject to preparation delays at present, so forewarning of a shortfall is needed. Other large-scale battery backup systems (involving large-scale solar, for example) are also potential solutions. They all add to the cost of providing electricity, but go some way to solving the intermittency problem associated with wind and solar energy. Further systems are needed to solve the lack of synchronicity in renewable power sources. Another option would be to build one or more interconnectors to non-renewable-generators in New South Wales or Queensland – preferably, black-coal-powered super-critical, low CO2-producing, generators, with carbon capture and disposal. These could be drawn on in addition to, or instead of, renewable energy storage systems. Clearly, building a new interconnector to eastern states coal-fired generators would not be free. A sum of $2 billion has been mentioned. Further, if storage turned out to be a cheaper option, an interconnector would become a stranded asset that was no longer used but the cost of which would continue to be included in the transmission and distribution charges in South Australians’ electricity bills for decades. A further option, sometimes raised, would be to introduce nuclear power generation – another non-CO2-producing technology. The trouble with nuclear, apart from its waste disposal problems, is that it cannot compete with consumer-subsidised wind and solar generation under the RET system. Indeed, it is less competitive than either coal or gas, which have been driven out of business by the RET and its associated RECs. If RECs were no longer issued, coal and gas would out-compete nuclear generation. If RECs were no longer issued, however, the existing renewable energy generators would make large losses. No new renewable generators would enter the market. While the price of electricity would fall in the long run, in the short run such a policy reversal would be bound to be expensive, as those who had invested in good faith in renewable energy generation under the RET would be entitled to compensation. Our dependence on CO2-producing technology for generating electricity would also increase, contrary to our international undertakings. Down the track, furthermore, if significant numbers of households and businesses were to go “off grid” in a search of reliable, sustainable power, and were to set up their own electricity-generation systems (solar or wind, with battery back-up, say), the cost of grid-supplied electricity to the remaining customers would rise significantly or the grid would make substantial losses. One way or another, the grid would eventually cease to be economically viable. All consumers – households as well as businesses – would have to generate their own electricity. This would be an economic catastrophe for the state. Richard Blandy is an Adjunct Professor of Economics at the University of South Australia, an Emeritus Professor of Economics at Flinders University, and a contributor to InDaily. He was a member of the Essential Services Commission of South Australia from 2004 to 2013.